A fun way to deck out your classroom or living room walls is with some large holiday themed characters. This year for my school library I decided to make a few holiday scenes with the Peanuts gang. You’ll be surprised what you can create with only some butcher paper and crayons. I’m not a great artist, but with some patience and homemade stencils you can create your own holiday scene for everyone to enjoy! First of all, sketch out your scene on a piece of paper. Do some online research of your characters and even print large versions of those characters you can tape together to use as a stencil if you are like me and are not the greatest artist. Then make a note of all the colors you will be needing for each character. I mainly used rolls of butcher paper for this project, but you can also purchase a set of different colored construction paper at your local hobby store for variety. Make sure you study your characters and number the colors in order you will be placing them down in your layers. This is where your 3D effect comes into play. For example, I started with a white base of paper and started layering on the different colors…their skin, their hair, their clothes, etc. Once you have them all cut out, it is time for the layering! Lay out your pieces and put them together layer by layer. You can secure them with either a glue stick or tape (taped on the backside of the paper.) Next, you will be adding on the details, such as creases in their clothes, eyes, fingers, etc. I had access to a large lamination machine so I was able to keep my creations safe and permanent that way. Don’t fret if you don’t have access to one! You can slip your creations between large shipping boxes for storage. You can really dress up your creations with a background, 3d additions or even lights. For my Peanuts creation I added some stuffing faux snow for my scene with twinkle lights. I started by stapling the twinkle lights onto the wall. I then pinned the faux snow up with white thumbtacks. It made the affect of fluffy snow around my ice skating rink. I also used the faux snow material to make 3d snow balls around my characters rather than just using construction paper for the snow. Made quite a difference. You can staple ornaments on a paper tree to the wall for a 3d effect. The possibilities are endless! I would love to see your creations! 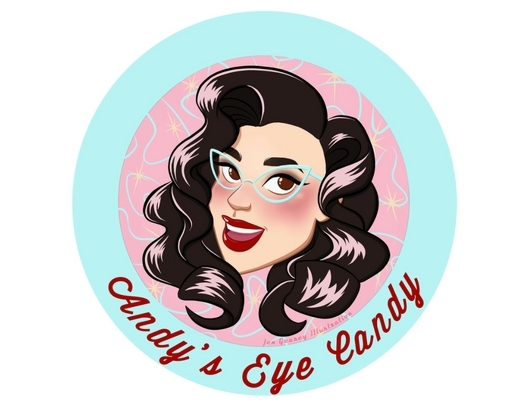 Tag me online @andyseyecandy via Instagram. Happy Crafting!